When I scrolled down the nigh on 100 albums that have been featured I could not help noticing, obsessive alphabetiser that I am, that there are a couple of gaps; three letters have not appeared in the VC index. ‘Shame!’ you cry, and rightly so. So let us address this immediately. Below you will find a poll (if I’ve done it correctly this time. If not, come back tomorrow and it’ll be fixed. Promise.). To guide your voting, I’ve dashed off a quick descriptor for each of the artists. ISOTOPE – tightly composed, brilliantly played British progressive rock-jazz-fusion. INCREDIBLE STRING BAND – strange, beautiful, whimsical, unique English folk rock. ICECREAM HANDS – Australian power pop with a strong melodic bent. QUIET SUN – one wonderful album only from this oft overlooked British progressive band. 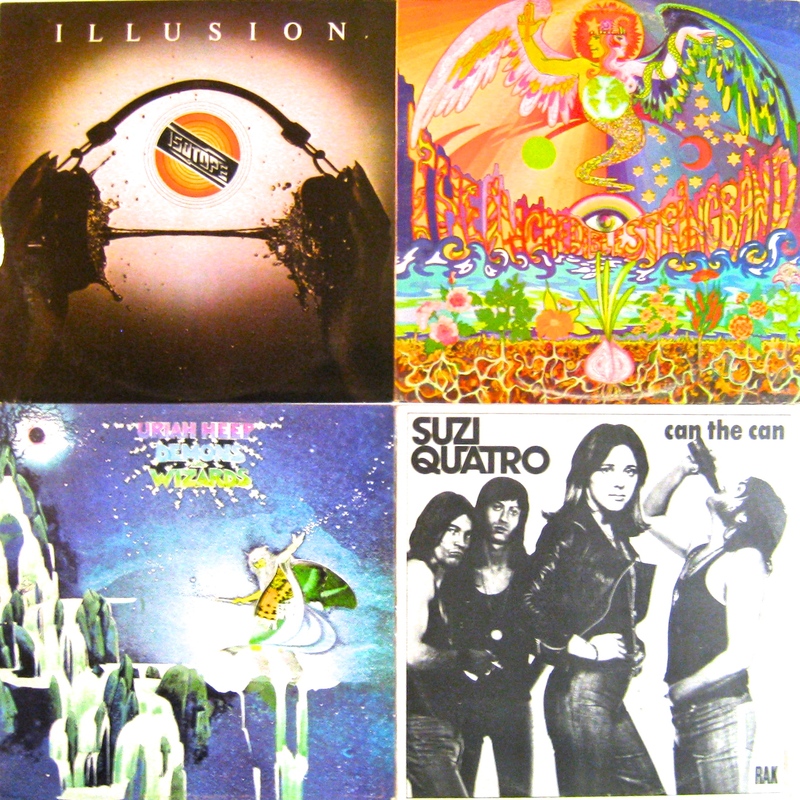 QUATRO, SUZI – the diminutive bass-playing leather-clad glam rocker. URIAH HEEP – it’ll be one of the Roger Dean covers for sure. Or maybe the third album. 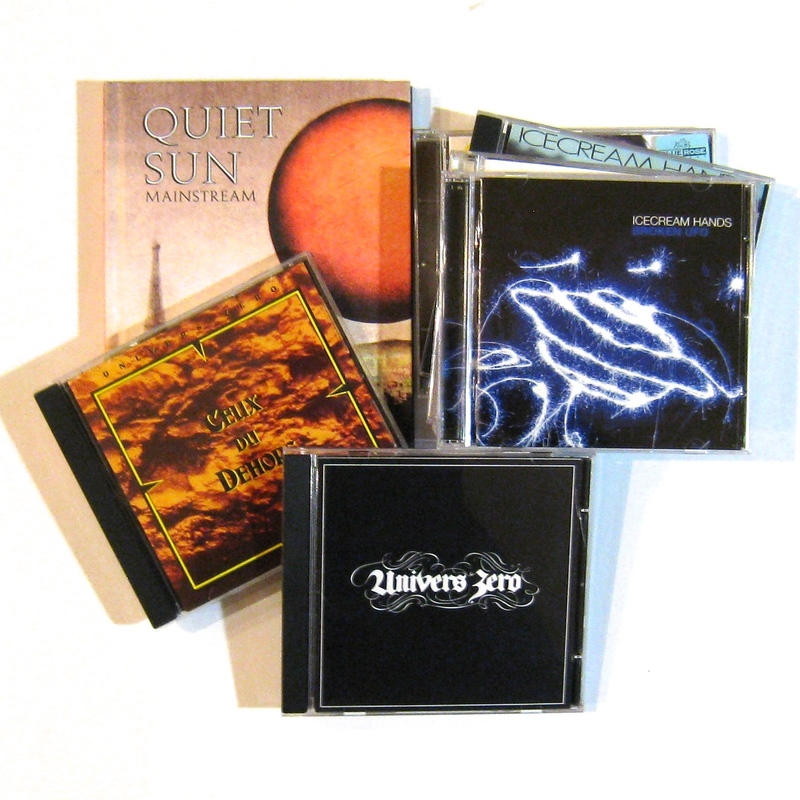 UNIVERS ZERO – unsettling, complex yet elegant dark progressive music from Belgium. UB 40 – the classic debut would be VC’s choice. UK – minor yet well liked prog band. Vote early, vote often, vote for as many of these I, Q, and U artists as you like and we’ll see what comes forth. Do vote, even if you are an occasional visitor to Vinyl Connection. Ah, you have perceptively divined the exact slant I would bring to a piece on ‘Can The Can’. My browser doesn’t seem to show an active polling mechanism, but it looks like it worked for another VC reader…? It was my browser, Bruce. I’ve now logged my votes. Hint: you’ve gotta respect a band that names itself for a Charles Dickens character, even though the character was a bit of a pill! You are of course referring to Mr Pickwick’s paramour, Miss Quatro. I think Uriah Heep are hot! The two I voted for are out to an early lead! I’ll take all the Heep you’ve got! Icecream Hands got my vote (never heard of ’em, but they sound like the kinda band I’d dig). Don’t know that album. Worth checking out? It’s worth a listen (“No Way Out of Here” was covered by Gilmour on his first solo LP). Thanks to everyone who participated – this poll worked well and produced a result! In the fullness of time, posts will be, er posted on the people’s choice selection.